"SOS Europe" - Presentation of a project to save the EU | Democracy International e.V. Europe is in deep crisis not only in Greece, Ireland or Spain. Overall Europe's citizens do not believe in the EU's power anymore to solve problems. As Eurobarometer surveys of 2013 reveal only 30 per cent of all EU citizens have a positive image of the EU. In 2006 this number was at 50 per cent. So what to do? An initiative of young Europeans, academics, entrepreneurs and politicians wants to help the EU. They have come up with a plan on how the EU can regain its citizens and how the citizens can take ownership of the EU. 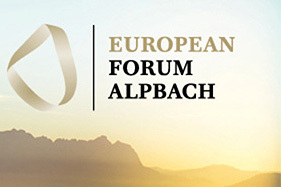 The European Forum Alpbach in Austria will host a discussion. Our chairperson Gerald Häfner and board member Armin Steuernagel will participate in the debate.